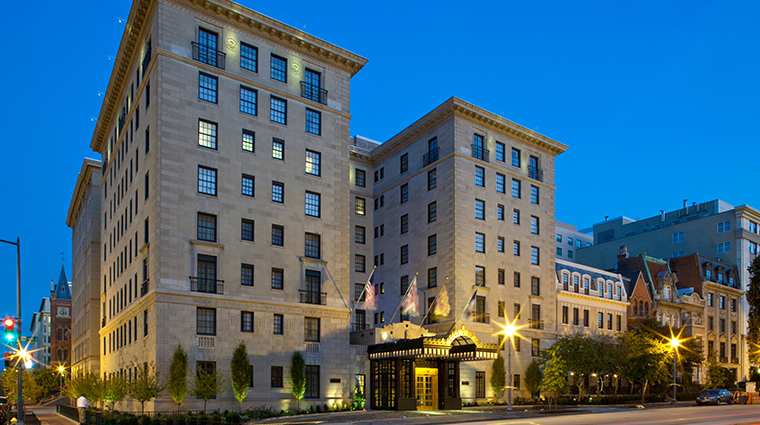 The Jefferson, Washington, D.C. underwent a major renovation before reopening in 2009, when the lobby was updated and an arched skylight dating back to the 1920s was unveiled. 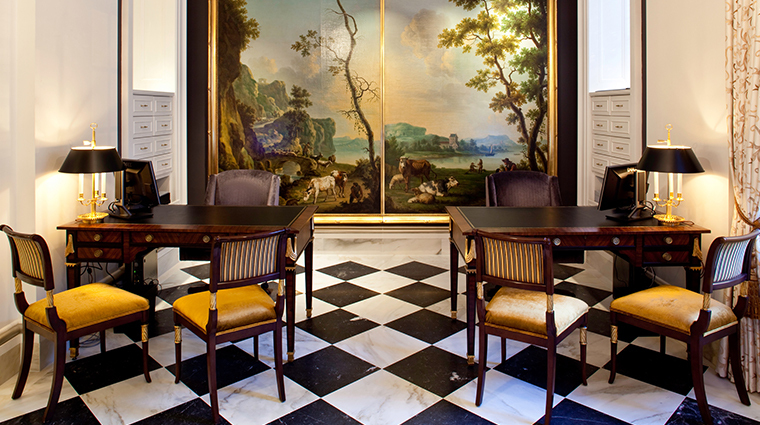 The decor and art throughout the hotel echo the taste of Thomas Jefferson — most of the furniture consists of custom-built replicas of pieces from Monticello, Jefferson's home. 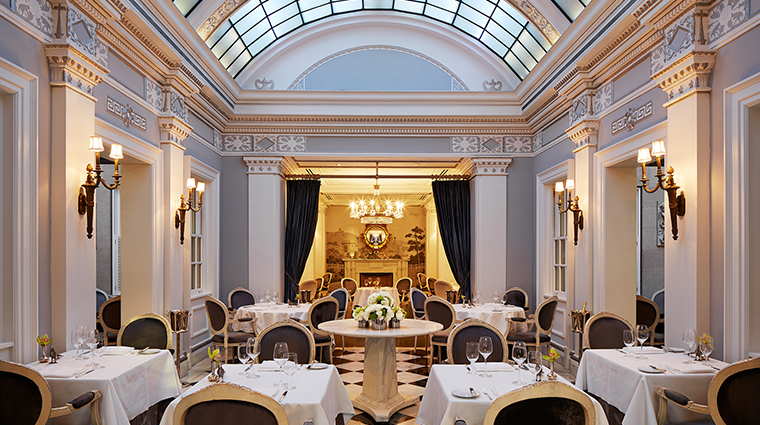 In Plume, the hotel's fine dining restaurant, you can dine on fresh regional cuisine inspired by the gardens of Jefferson's home and gaze at the hand-painted mural of the south vineyard of Monticello on the walls. Framed maps throughout the hotel depict areas where the third president traveled to and was fond of, and some rooms have framed quotes from the leader. The hotel staff members are incredibly knowledgeable and passionate about Jefferson's life and the history of the hotel; they'll happily share many fascinating stories if you ask. 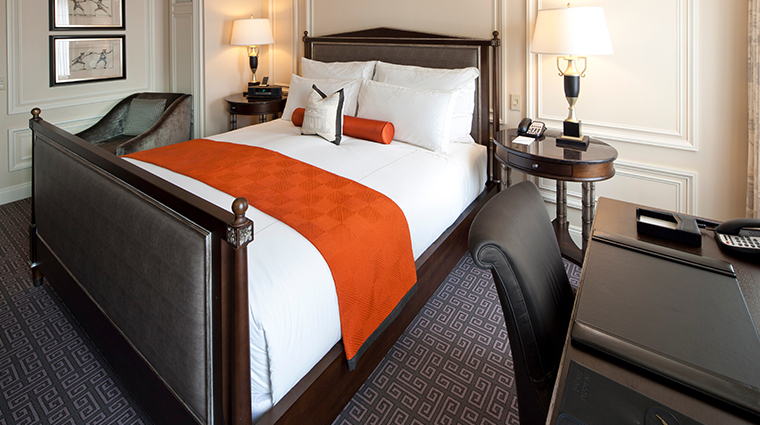 The Jefferson is just five blocks from the White House and a few more from the National Mall, where you can visit the Lincoln Memorial, the Washington Monument and the museums of the Smithsonian Institution. One of the best things at The Jefferson is what you won't pay for. Wi-Fi is free, as is shoeshine service. Bottled water in your room is gratis, and each guest can enjoy the hotel’s complimentary newspaper service. 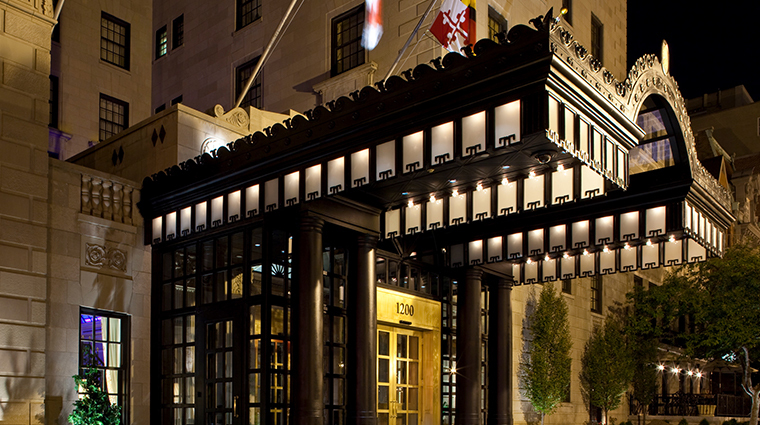 Historic touches representing Thomas Jefferson, custom cocktails and Plume — the hotel's fine dining restaurant — make The Jefferson, Washington, D.C. stand apart from other hotels near The White House. Even with so much opulence, the defining characteristic of The Jefferson's design may be how refined it is — nothing seems overdone, and many of its historic and luxurious details are hiding in plain sight. 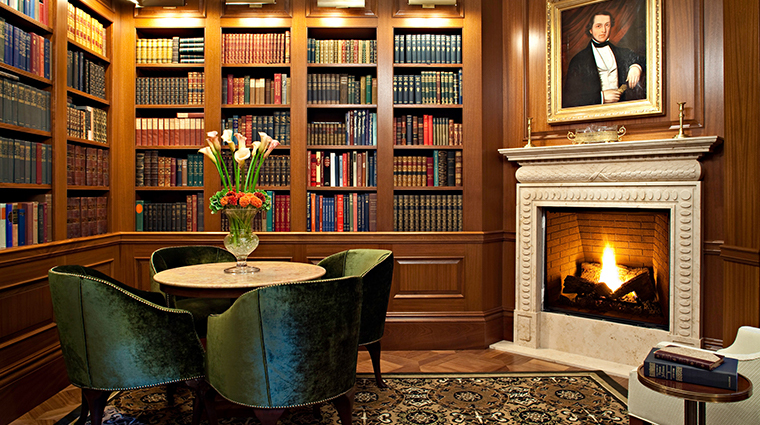 In the lobby, a gallery of historical documents — bearing Jefferson's signature and hung in wide golden frames — presents a mini museum of sorts that creeps into every corner of the hotel. 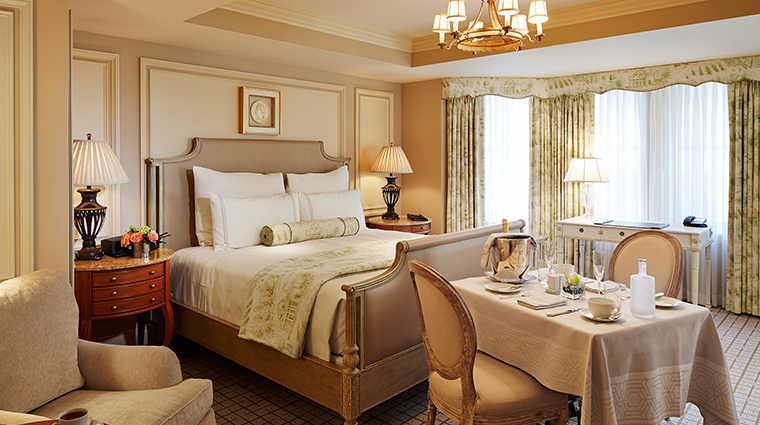 In the guest rooms, you'll find curtains and pillows printed with schematics and images of the former president's Virginia estate, Monticello. You won't find this fabric at local stores, though: It's been specially licensed to the hotel by Jefferson's estate. 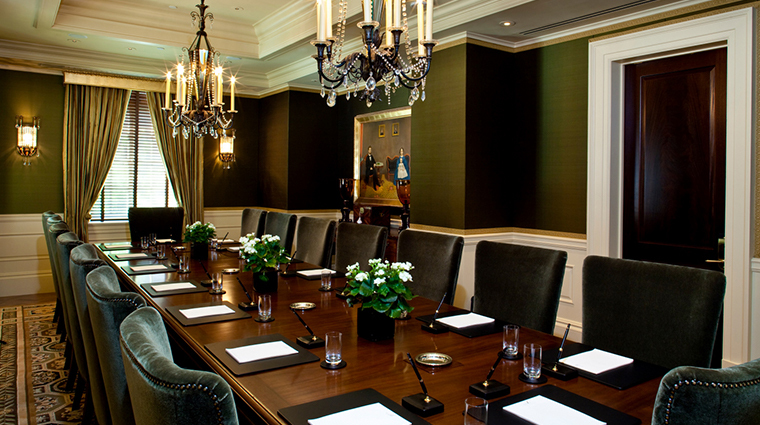 If you have a meeting, a lunch date or just want to be shuttled to your next tourist destination, the Washington D.C. hotel offers complimentary car service twice daily, on weekdays. 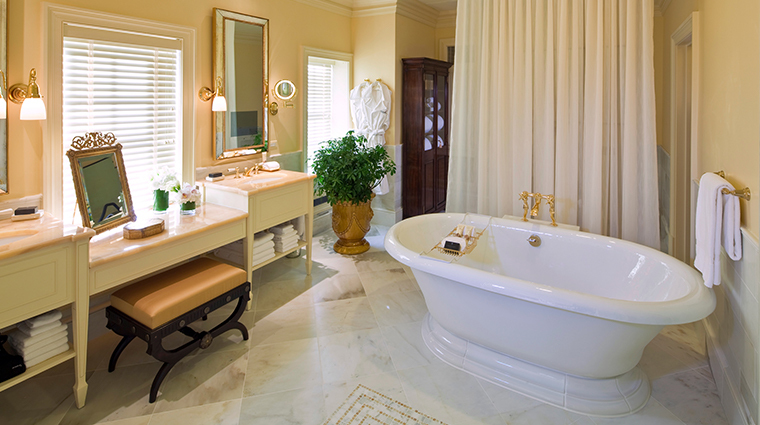 The Forbes Travel Guide Four-Star property has more than 170 Benjamin Moore paint colors, many of them custom to the hotel. 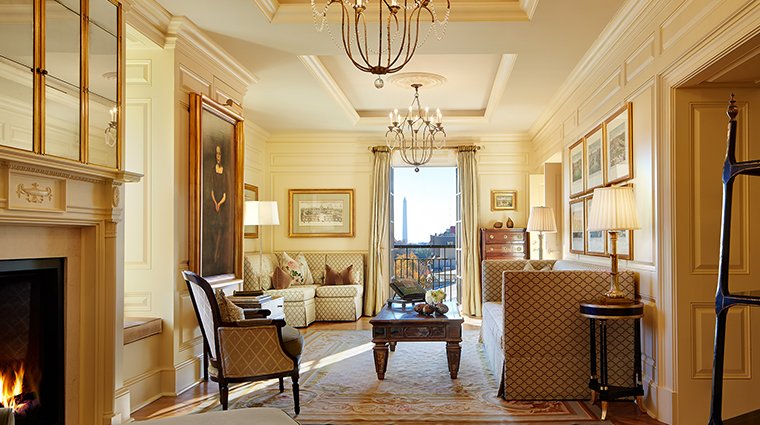 There are three types of guest rooms and two suite categories at The Jefferson, Washington, D.C., and all are packed with amenities and unique, amusing touches that will capture your imagination. All three room types come in one of three color themes — gold, platinum, or green— but many have slightly different shades. 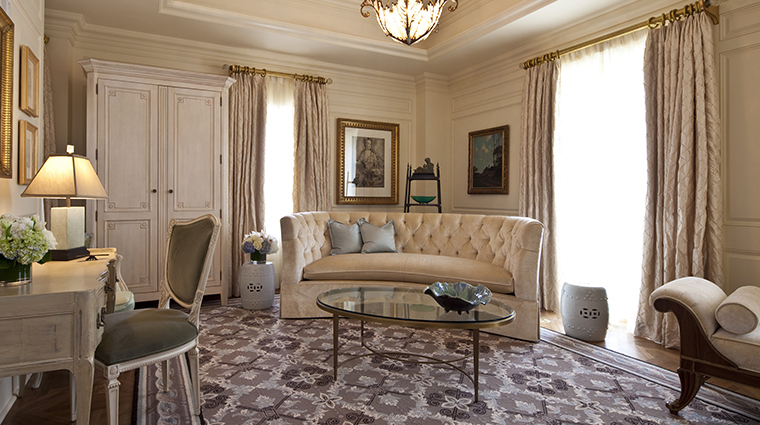 In the suites, the artwork, from the owner's personal collection, is also Jefferson-inspired — above the bed of each suite there's a quote from his life. Red Flower toiletries made exclusively for luxury hotel are in the bathrooms. The products are gender-neutral in scent and made with organic ingredients including honey, shea butter, orange, jasmine and cedar wood, and are biodegradable and dye-free. 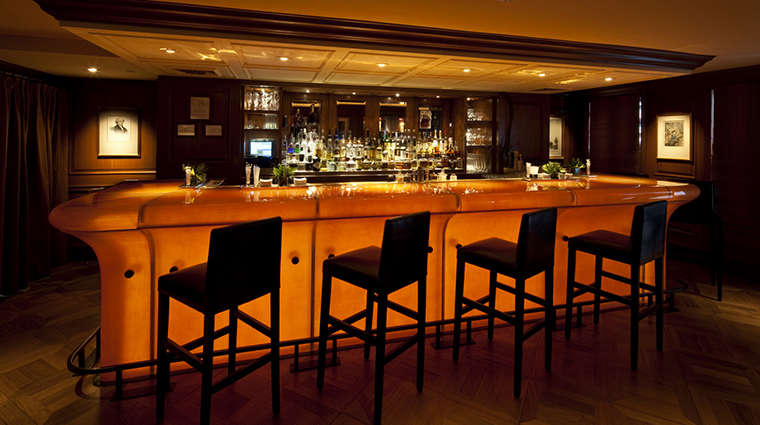 There are three restaurants at The Jefferson, Washington, D.C.: The Greenhouse, Plume and Quill. 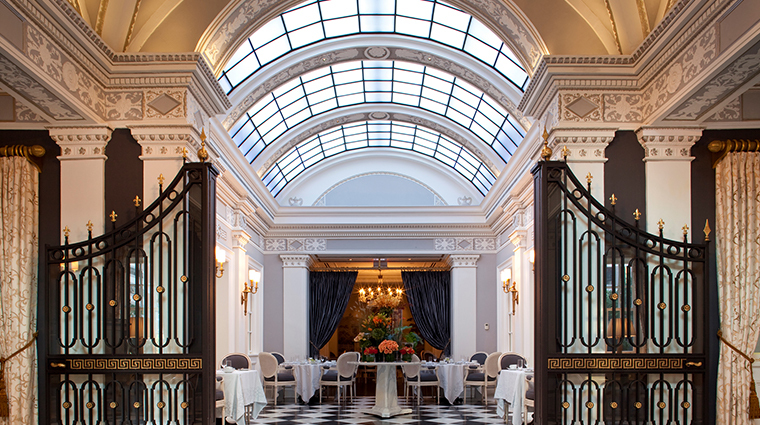 The Greenhouse, just off the hotel's main entrance, serves breakfast, lunch, Sunday brunch and afternoon tea. Order standard breakfast fare like a three-egg omelet or indulge in specialties like lobster eggs Benedict with asparagus tips and lemon ricotta pancakes. Quill, the bar and lounge at The Jefferson, has a seasonally changing menu that includes myriad appetizers and sandwiches ranging from $10 to $20 for a portion big enough to share. 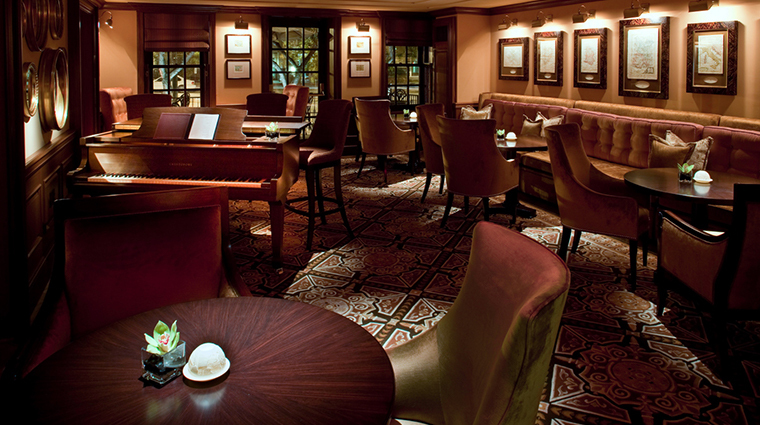 In-house pianist Peter Robinson plays live music on Tuesdays-Saturdays, which makes Quill a popular attraction. 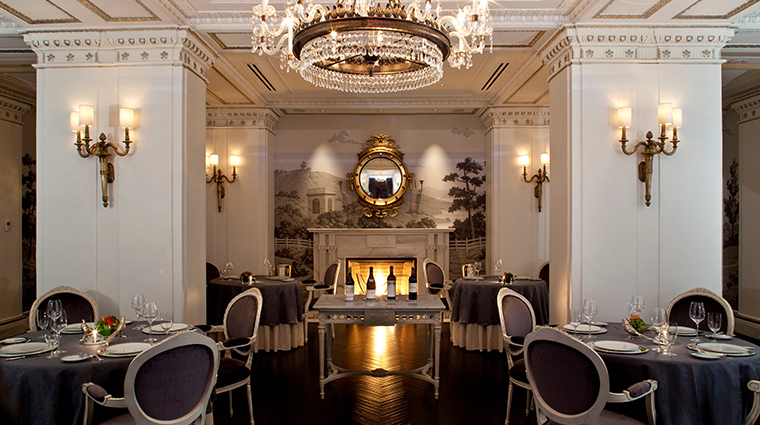 Plume is The Jefferson's beautiful fine dining establishment. It's not easy to get a seat at the Forbes Travel Guide Five-Star restaurant, so call a few weeks in advance to enjoy executive chef Ralf Schlegel's unexpected takes on traditional dishes. 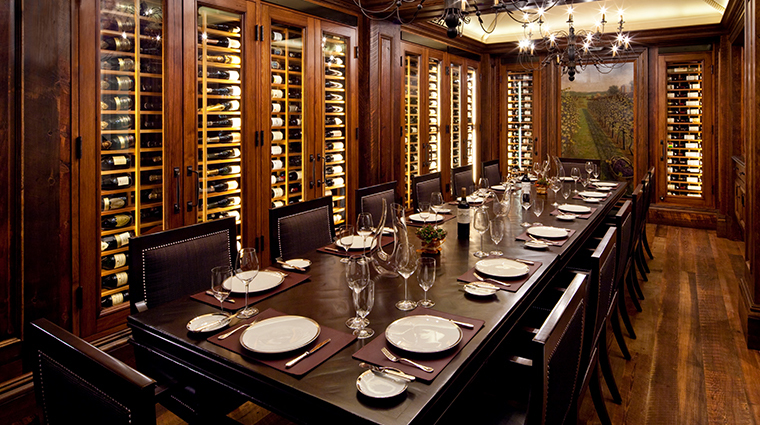 The menu changes seasonally, but includes classic dishes such as the Martin’s Angus Prime Beef with Gnocchi. One of the specialties of the house is Schlegel’s King Salmon Yew Wood Bento with the Amish Bees Wax and Brown Butter Emulsion, and is one of Plume’s most recommended dishes.